Oh, the million ways we adorn our writing. The urge to embellish is powerful, especially when it feels as though bare action is not enough, that subject and simple predicate fail the setting, emotion, reaction—the scene, the material as a whole. Writers want to do justice to the complexities in their work, and rely upon description for that. But when does description move from purposeful elegance to overwhelming kitsch? From enhancing dimension to breaking momentum? How do you know when your description is enough? How do you know when it’s excessive? Do you remember this scene in Amadeus? 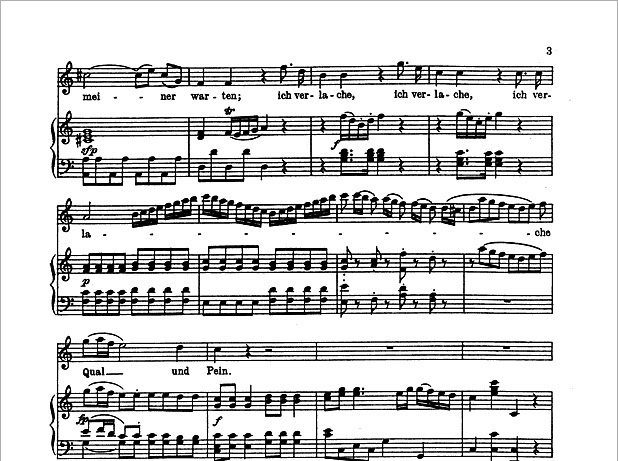 The aria which provoked this response, is “Martern Aller Arten” (Abduction from the Seraglio). In vocal music, there’s a term for the lengthy ornamentation of a single word (think idea), or syllable (think detail): it is Melisma. Note the four measures in the center of the page (second stave), on the middle syllable la of the word, verlache. Why so much ornamentation of a single syllable? The translation—I laugh—provides the answer. This four measure melisma is musical laughter. Is it a bit over the top? Yes. Does it overwhelm the music? A tad. Does it interrupt momentum, though? No. 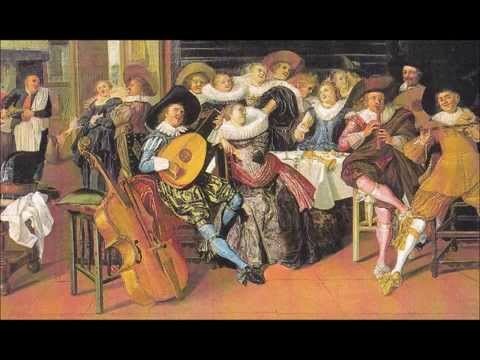 Mozart took great care to balance the vocalist’s laughter with echoes of them in the accompaniment. More importantly, he used these musical excesses to give the listener critical information about the character singing them, and the way the action is going to progress. In prose, it’s helpful to think of embellishment in similar terms. What is the context? What is the purpose within that context? What is the pace of the scene? Where and how does that pace fit within the overall pace of the work? A leisurely pace allows for more detail—the shape and size of a button, the yellowing lace on a collar; a faster pace, closer to a climax, allows for less. Ultimately, descriptions should be as functional and balanced as Mozart’s melismas. Still, no matter how careful you are, how perfectly you balance your embellishments, there will always be a reader who finds them excessive, no matter how exquisite, grotesque, frightening, suspenseful, and utterly functional and necessary they are. That’s the risk of using many notes. But the result may be worth it. You’ve introduced me to a new word today – thanks! I didn’t know the musical laughter is called Melisma. Yes, it’s a great temptation to adorn writing, isn’t it? I find I’m constantly trimming words after my first and second drafts, trying to get rid of all the unnecessary words and not always successfully. Thanks for including that clip from Amadeus. It’s been several years since I watched that film, but I loved that scene with the Too Many Notes. Haha! I know what you mean about trimming during revision. In some ways, it feels very satisfying, though, doesn’t it? Kind of like spring cleaning! Which reminds me, there are a few closets that need attention…. Cheers!